Radio is so much different today than it was from 1973-87 when 1050 WHN played country music in New York City. Between internet radio, SiriusXM, and HD radio there are so many choices. Today, I listen to more radio on my computer than I do on my radio. I can tune in almost any AM or FM station over the country and even over the world by putting in the proper URL in my browser. Regular readers of my journal know that I am all over the place listening to different stations in different formats. Back in the 1970s and 80s we only had access to the local AM and FM station. During that time frame music radio was making a transition from AM to FM. Salamon, Ed. When New York City Went Country. Los Angeles: Archer Books, 2013. Web. 30 Mar. 2013. As soon it became available I bought it for my Amazon Kindle. I really don’t like schlepping books on the subway any more. Since I had several newspapers, magazines, and books to read, it took me a couple of weeks to get to it. Today, I had a few hours, so I turned off my radio and computer and took the time to read this book which I enjoyed immensely. The first thing I realized was that I should have listened to WHN more often back then. I would listen to the Met games on that station, but I rarely listened to country music since I was so much into rock ‘n roll radio. 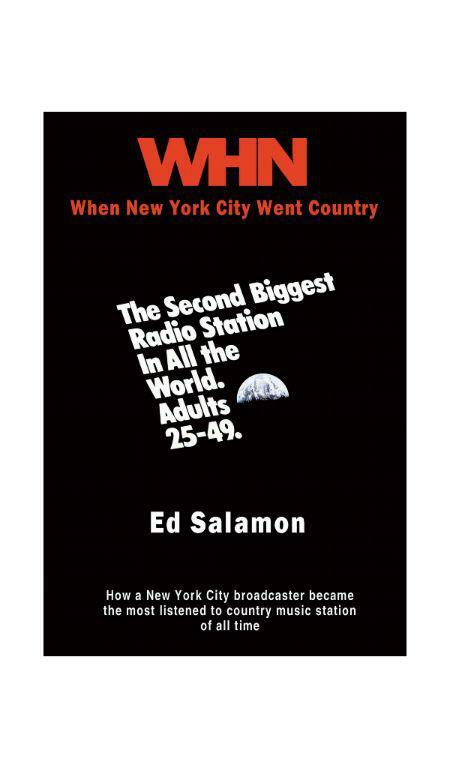 Ed Salamon gives a prologue discussing the history of WHN from its inception to the adoption of the country music format in 1973. He was the program director during most of the stations’ country music era and thus the book reflects his experiences with the on and off the air personalities. I certainly enjoyed the anecdotal and chronological approach that he used. I found out much about the station. Since one time WMCA was the program director for a while at WHN many of the former Good Guys including Jack Spector, Ed Baer, Joe O’Brien and Dan Daniel were on both stations. Several WCBS-FM personalities including Dan Taylor, Mike Fitzgerald, and Gary Clark (Gary Semro) appeared on WHN. Many country music personalities were guest Djs. The station sponsored many country music concerts in the NYC area. I enjoyed the book and recommend it for radio enthusiasts like myself and for people in the business. Most radio listeners are likely not aware of what goes on behind the scenes at a major radio station. Ed Salamon properly credit’s the people he interviewed for this book. In the text he mentioned a few articles that discussed the station. As an academic librarian I noted that there was no bibliography at the end of the book. It would be useful to supplement the interviews with information from trade magazines. 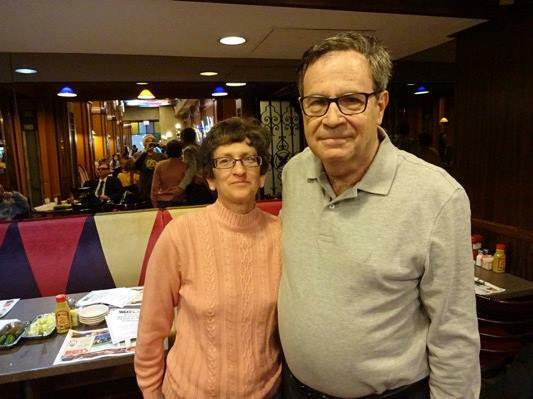 There was a reunion for the 40th anniversary of the country format at Hill Country Restaurant. Photos may be seen at Matt Seinberg’s Facebook page. There was also a reunion on WFDU radio. Since Karen and I were both off from work today, we took a subway ride to the Upper East Side to visit the Jewish Museum on a Catholic holiday. I just researched my own journal and found out I was last there on December 24, 2007. There were permanent and temporary exhibits there. There was an interesting exhibit from the newly established design firm Sagmeister and Walsh. It was something different for the day. I is hard to believe that Lee is now 25 years old. It seems like yesterday when Karen and I brought him home from the hospital. He met his best friend last summer. Happy Birthday! Michael Perlman wrote an article in the Forest Hills Times which details the history of Rego Park where I grew up. It mentions Remo Hall (61-40 Saunders Street) where my family lived from 1951-80. It also states that P.S. 139 opened in 1929. Above is a photo of 63rd Drive that I took in 2009 when I did a walking tour of Rego Park. 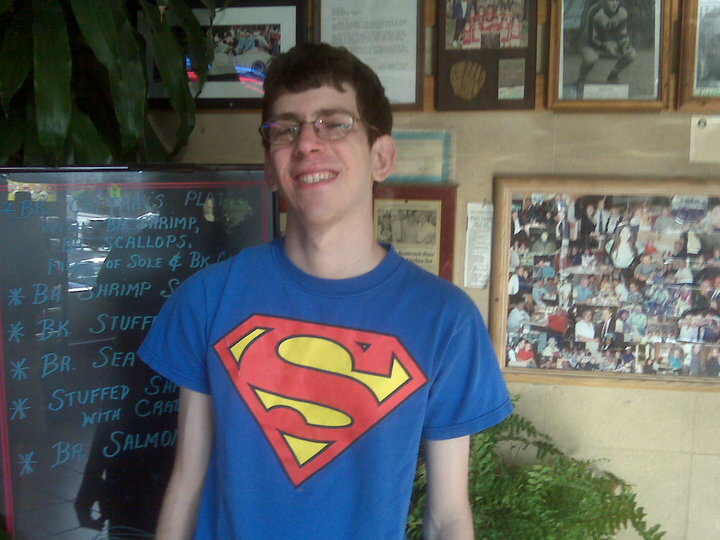 There have been several references to Superman in Bruce’s Journal over the years. You’ll even find a post or two about Sunshine Superman by Donovan. Anyway since Lee’s birthday is coming up on Thursday March 28, we decided to see the “encore” of the Broadway show It’s a Bird, It’s a Plane, It’s Superman. This play first was shown at the Alvin Theater in March 1966, but closed after 129 performances. There is a question if a comic book can be translated to Broadway. I am not an expert on Broadway shows, but I must assume that it is very difficult for a show to have a very long run. It is quite possible that the 1966 show closed after a few months since America was in the middle of the Batman (TV series starring Adam West) craze. There were also several hit musicals competing for the Broadway audience. This encore was a trip back to the 1966 version. There was absolute no high tech used as was done in the Spiderman musical. A cutout of Superman was used to demonstrate his flying. The music, dancing, and acting were excellent. Yours truly is too enamored with the TV show starring George Reeves as the Man of Steel. I was disappointed that Jimmy Olsen and Perry White did not appear in this show. It will close on Sunday March 24, but I think it deserves a longer run at City Center or another venue. Below is a photo of the birthday boy dressed up as Superman. I remember listening to the radio in the 1960s when WABC did their newscast at :25 and :55 before WMCA's at :00 and :30. Very often the station had about 30 seconds to play music before the newscast, so they would play part of an instrumental. It was so frustrating a good hit and then it was cut off. At least today instrumentals are played in their entirety on internet radio. I have a 5 CD set of instrumental hits issued by Rhino Records. One of my favorites has to be Walk Don't Run by the Ventures. 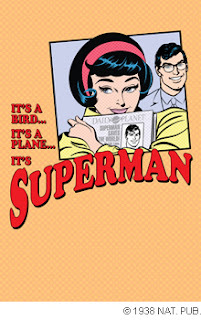 To celebrate Lee's birthday we will going to see It's A Bird, It's a Plane, It's Superman on Saturday. No Comment Until the Time Limit is Up. That means no review of this play until Saturday Night. I hope Joe Mercuri finds this post amusing. Very often when the credits start to roll at the end of a movie, people begin to file out. Whenever I hear a good song I tend to stay in my seat until the song ends. 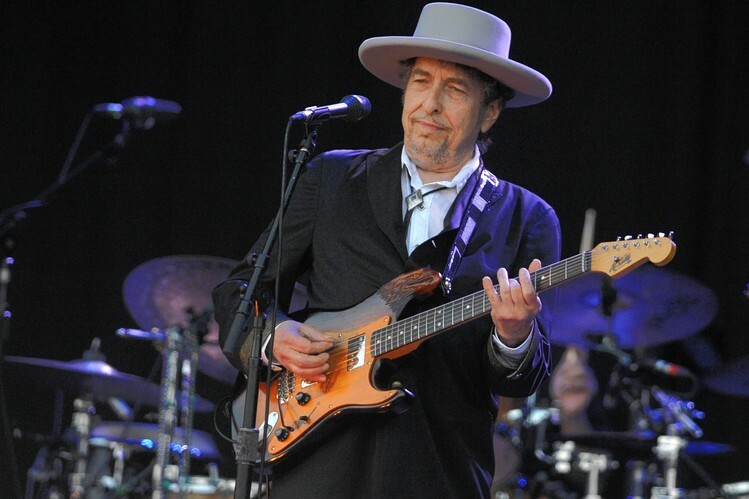 For example at the end of Jerry McGuire an alternate version of Bob Dylan's Shelter from the Storm was played. Wild horse couldn't make me move :) . Anyway at the end of the Koch movie the Only Living Boy in New York by Simon and Garfunkel was played. That song is absolutely perfect for Ed Koch. I have certainly seen many musical documentaries over the years. My favorite for obvious reasons has to be Don’t Look Back. Koch has the be the best non-musical documentary that I have ever seen. In my opinion producers Neil Barsky and Joan Davidson deserve an academy award for this film. 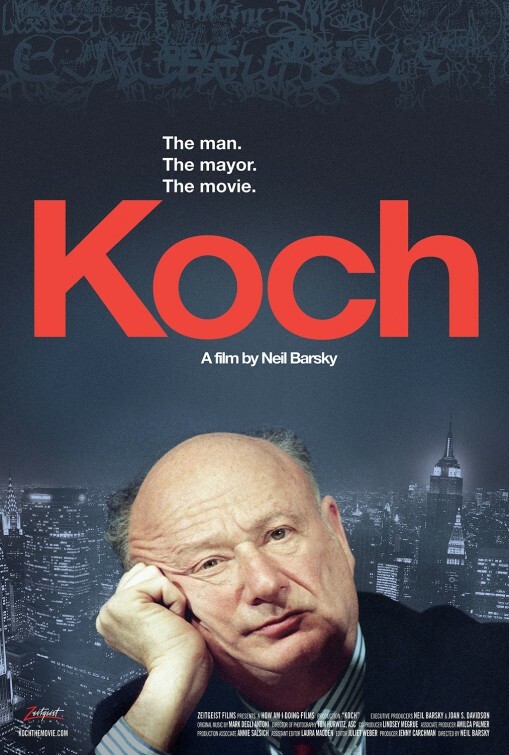 I commend the producers for being objective by showing people who loved and hated Ed Koch. They shouwed how he confronted many of the urban problems that faced NYC from 1978-89. Koch of course was the consummate politician and made many friends and enemies in his lifetime. I had not recalled that the AIDS activists felt that Koch did do enough to fight the disease in its early days. There was a scene where the City Council was voting on renaming the Queensboro Bridge the Ed Koch Queensboro bridge. Councilman Charles Barron voted against it saying that Koch was insensitive to the concerns of Blacks. I was touched by a scene where Ed was shown visiting his nieces and nephews breaking the fast after Yom Kippur. He had time to be a family man and was very proud of his Jewish heritage. The film did a good job of showing the controversy over Koch’s sexual orientation. Since he never married many thought he was gay. I wish there was more time devoted to his role as a journalist after he left office. 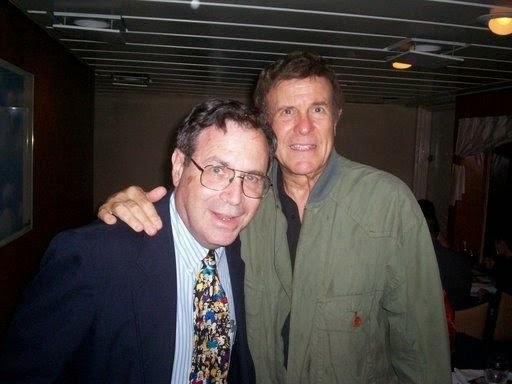 He actually wrote movie reviews for newspapers and hosted radio shows on WABC and later on WEVD. On numerous occasions he appeared as a guest on a Saturday morning show of a radio personality whose name will not be mentioned. 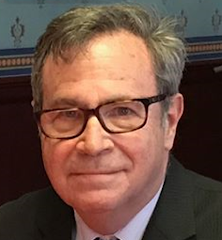 Alan Berman knows who he is. 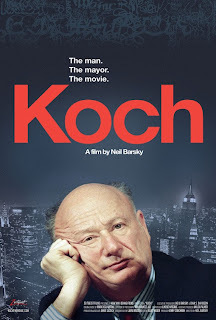 The film was released about the time of Ed Koch’s passing. Hopefully when the DVD is released there will be an addendum showing part of his funeral. Whether you are a Democrat, Republican, or Independent, this film is for all New Yorkers who lived in the city during the Koch year. The man was colorful and controversial to say the least. Karen and Lee have always been the bigger fans of Wheel in the family. I am more into trivia while they are more interested in word games. A few weeks ago we filled out a form we got from 7online.com and mailed it in. We subsequently received tickets to attend a taping at the Theater at Madison Square Garden. The big event at the Garden last night was the Big East Tournament, but there were at least a few thousand people watching Wheel. Most of the people in the audience were middle aged so I assume that it was a cross-section of the avid viewers of the show. We got on the line at about 5:30 and were allowed into the theater at 6:30. The taping began at 7:40 PM. Jim Thornton, the announcer, warmed up the audience and warned everyone not to shout out answers to the puzzles. The two shows that were recorded (I must assume that video tape is no longer used) will be on the air on May 2nd and 3rd. People who know me and others who have read this journal know that I am a big enthusiast of Top 40 radio of the 1950s - 1970s. This style later evolved in oldies radio. Of course I grew up in NYC and was a big fan of WABC, WMCA, and WINS and later listened to WCBS-FM. The dominant feature of these radio was the personalities who promoted the music. I listened to Cousin Brucie, Dan Ingram, Murray the K, B. Mitchell Reed, and Dan Daniel among many others. I was never familiar with what was going on in Philadelphia, a mere 90 miles away. As we moved into the 1990s I was able to connect with radio enthusiasts all over the country. Then I was able to obtain air checks on tape of classic jocks from heritage radio stations. As the internet matured in the 2000s radio stations of different formats emerged on the web. Until then I was only vaguely familiar with Hy Lit of Philadelphia. 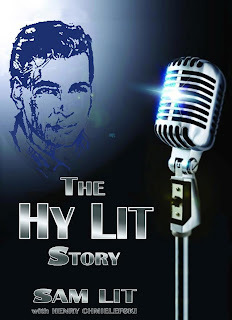 Some years ago Hy and his son Sam developed an internet radio station called Hy Lit radio. After Hy passed away in 2007 Sam continued the station featuring the oldies and radio station IDs from all of the country. I was always amused hearing “Hyski O’Rooney Mcvoutie O’Zoot”. The book comes with a CD which is part I of the Hy Lit Collector Series. It includes many air checks of Hy from WIBG in the 60s and 70s. It features the last show heard on WIBG 990 AM before it was sold and changed formats. If you don’t know anything about Hy Lit, check out the entry in Wikipedia. But as I tell my students, very often the information there is very cursory. 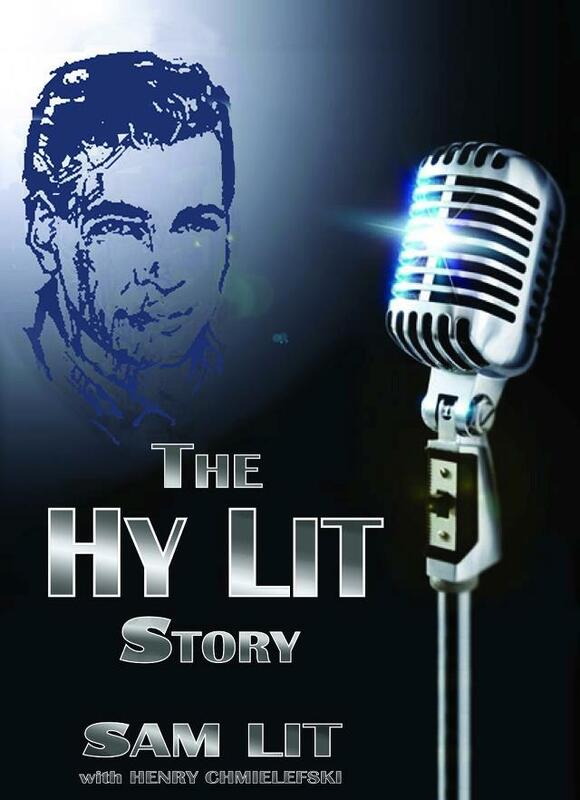 From there check out Hy Lit Radio. By all means purchase the book either at the web site or at Amazon.com. I am already waiting for Part 2 which will cover Hy’s later years in oldies radio.. Thanks Sam for a job well done. Your father is smiling right now. 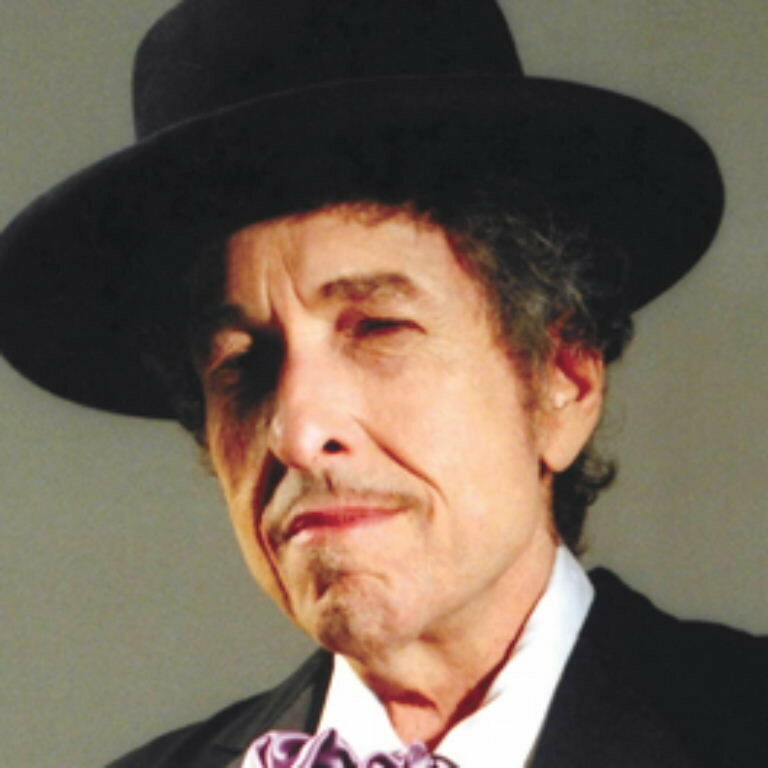 The big news for me today was that Bob Dylan will become the first rock musician to be honored by the American Academy of Arts and Letters. This is one of the most distinguished honors in the arts. I agree with some of the opinions that Mayor Michael Bloomberg has made on issues such as gun control. If I had may way I would go even further and ban assault weapons and pistols, but that is not the topic of the day. In his third term especially, the mayor has really bullied the public. 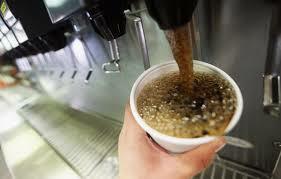 He had attempted to ban large sugary drinks sold by restaurants, movie theaters and other food businesses. One could not buy a drink larger than 16th ounces. In his ruling, state Supreme Court Justice Milton Tingling in Manhattan zeroed in on the loopholes, noting it would only have applied to businesses that are under the purview of the health department, like restaurants, and would allow sweetened milk-based drinks like milkshakes. I agree with the mayor's sentiment that people should eat and drink in a healthy manner. But I think in this case the government is going too far by invading people's choices of food and drink. Why doesn't the mayor ban all tobacco products? The mayor vows to appeal the judge's ruling. On a related issue, Subway sandwich shops have a meal where you can get a discount by purchasing a sandwich, bag of potato chips and a 32 ounce drink. This is the other extreme since who can drink a quart of soda with their lunch. Lee actually has been into oldies since the day he was born. Bob Shannon announced his birth on the air by playing "What a Wonderful World" by Louis Armstrong. When Lee was 7 years old Bob played Crying in the Chapel by Elvis Presley for Lee. His Bar Mitzvah was announced by Harry Harrison on WCBS-FM. A few weeks ago stated in this journal Cousin Brucie played I Walk the Line by Johnny Cash. Just tonight Cool Bobby B played Mister Lee by the Bobbettes for him. I will be listening to Sounds of the Sixties on Sunday March 24 to hear if Brian Matthew plays It Ain't Me Babe by Johnny Cash for Lee. Brian says that the show gets many requests, so I hope he picks mine. Since we hadn't been to the movies in a couple of weeks we headed over to the local multiplex to see A Good Day to Die Hard with Bruce Willis. Just too much gun violence in this flick; it was just not for me but these movies are aimed at kids anyway. I must say that the prices of movies are inching up slowly. The bargain matinee price is now $10.25 for regular movies and $15 for a 3D movie. As the prices rise, people must be more selective about the films they see. Karen taped Who Wants to Be a Millionaire which is seen at 12:30 PM on WABC-TV 7. 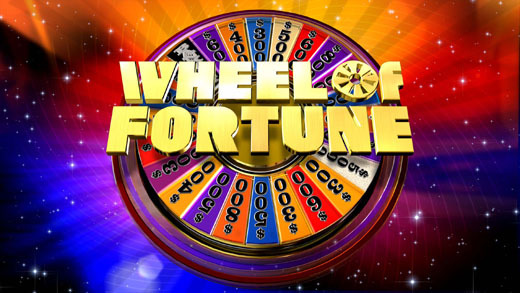 It turned out that they expanded the 12 Noon news to an hour to cover the snow storm preempting my second favorite game show. I just don't see the point in expanding the local news in midday to cover a minor snowfall. If people are really interested they can watch a local all news station such as NY1 or News 12. For the first time this season I watched some preseason baseball. Since the games don't count I just watched one inning of the Mets and one inning of the Yankees. When you get tired of hearing the same burned out oldies, the best thing to do is listen to Bob Radil's 60s 70s show on Rewound Radio. He just played Don't Do It by Micky Dolenz who is celebrating a birthday today. The YouTube video below has some interesting photos of Micky including one of him in the Circus Boy days. There is an old saying that no news is good news. I have a case of writer's block and I just can't think of anything new to write about. Right now I am listening to Hy Lit Radio, but I searched the archives and found out that I wrote about that online station a few years ago. With baseball season starting soon, I just bought Baseball Prospectus 2013 so I can read about how the Mets and Yankees will shape up for this season. 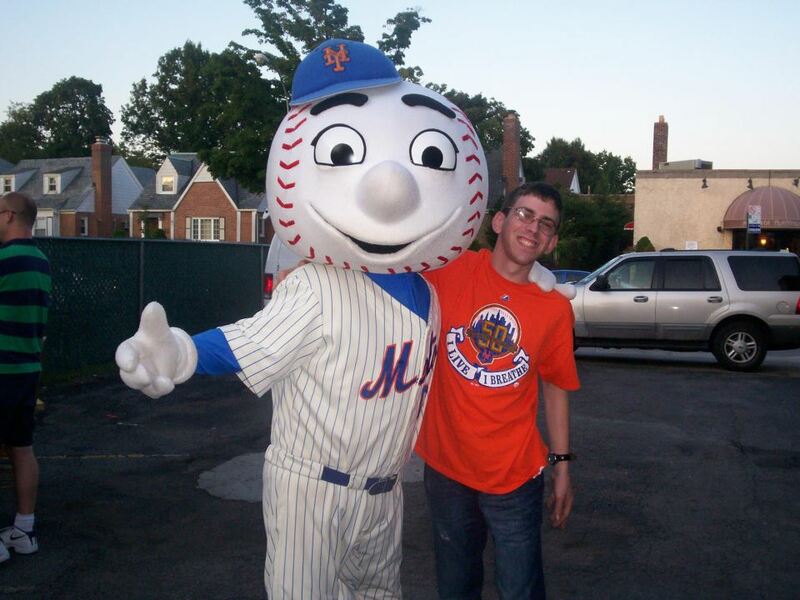 I bought a 6 pack for the Mets and tickets for 2 Yankee games. I had to research my own journal to determine that David McMillan has appeared twice. It is very easy to see from the photo above that Dave is a librarian and a very good one at that. He is very thorough when he works with patrons. I remember that during his brief tenure as a librarian at NJIT he was very eager to learn. Unfortunately, Dave has experience a temporary career setback. I certainly wish him all the best as he transitions to a new job. There has certainly been much written in Bruce's Journal about Jeopardy, but I can't remember writing about the Wheel of Fortune which must be Karen and Lee's favorite game show. A few weeks ago there was an announcement that there would be tapings at the Theater at Madison Square Garden in March. There was a form on 7online.com to send in for a chance at tickets. We were lucky and found out today that we won tickets for Friday evening March 15.